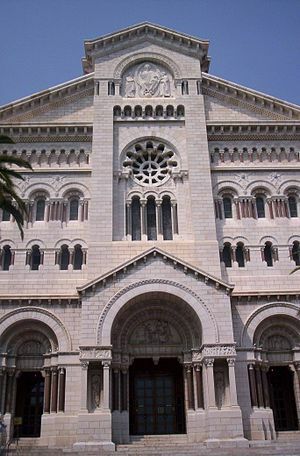 The Roman Catholic Archdiocese of Monaco cathedral is located in Monaco-Ville, Monaco. There has been a church perched on the symbolic Rock in Monaco for 700 years. The present cathedral was designed by the architect Charles Lenormand in 1875. The building officially opened in 1903 and was consecrated in 1911. 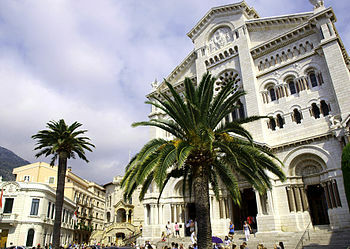 In 2011, the cathedral of Monaco celebrates the centenary of the consecration. In 1956, this church hosted the marriage of Prince Rainier to Grace Kelly http://www.youtube.com/watch?v=xEk8idis3e0. Prince Albert and his new bride Charlene, wanted this year’s royal wedding to take place outside the church to accommodate more guests. Bernard Barsi, archbishop of Monaco, performed a Roman Catholic ceremony in the main courtyard of the Prince’s Palace, the Place du Palais http://www.cityoutmonaco.com/monaco-events/articles/monaco-royal-wedding-new-era-grimaldis. Both Grace and Charlene typify the fairytale nuptials that little girls all over the world aspire to re-create when they meet their “Prince Charming”. Monaco’s Cathedral is essentially the church of the Grimaldi dynasty. 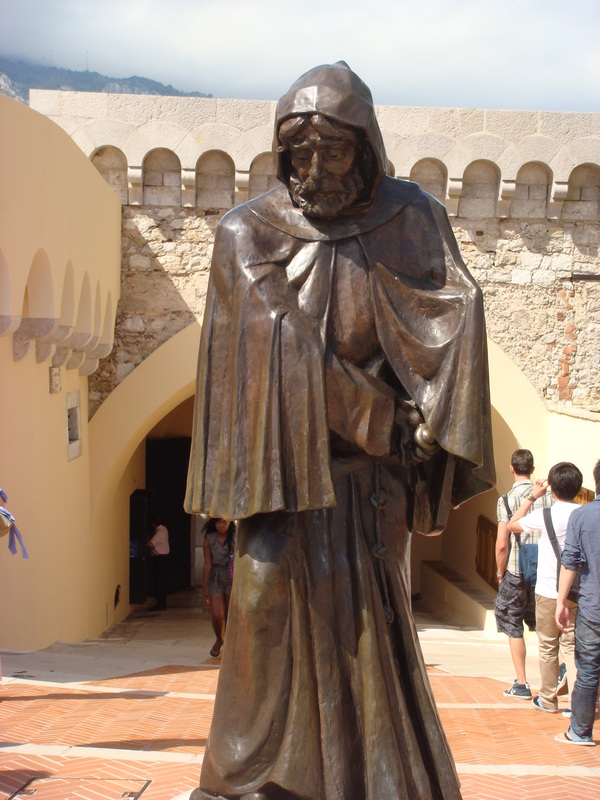 Francois Grimaldi, Il Malizia (the cunning), was a Genoese leader who captured the Rock of Monaco disguised as a Franciscian monk in 1297. The event is commemorated on the Monegasque coat of arms that depicts monks with swords supporting the shield. François Grimaldi entered the city with soldiers dressed as monks and they had swords hidden under their cassocks. François was greeted at the gates of Monaco’s castle and seized the castle with his soldiers and his cousin Rainier I, Lord of Cagnes. 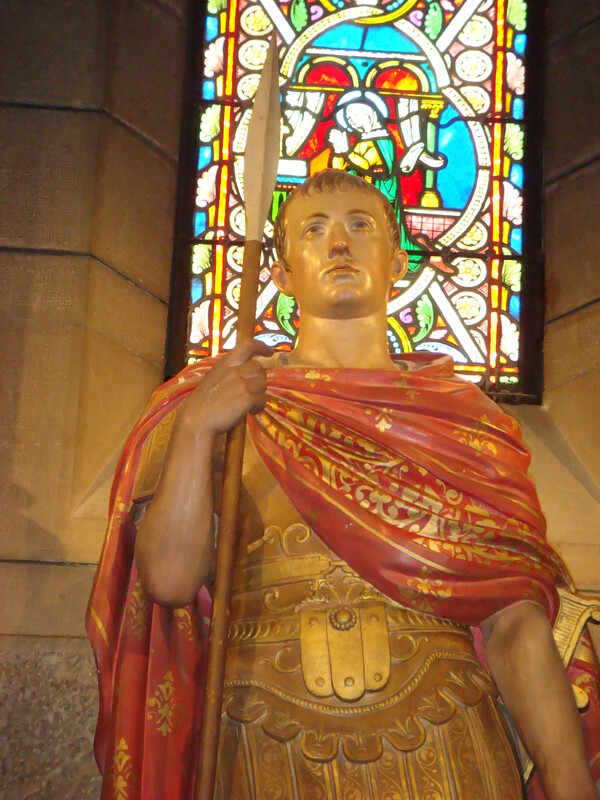 After his death, in 1309, he was succeeded by his cousin, Rainier I, Lord of Cagnes. 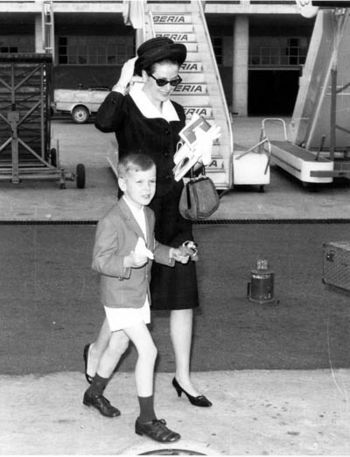 His cousin’s descendants, the Grimaldi family, still rule Monaco today. 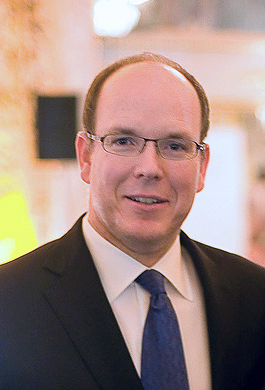 Prince Albert II is the head of the House of Grimaldi. Just like London’s Westminster Abbey, the Cathedral of Monaco has the distinctive honor of being the burial place of generations of royalty. 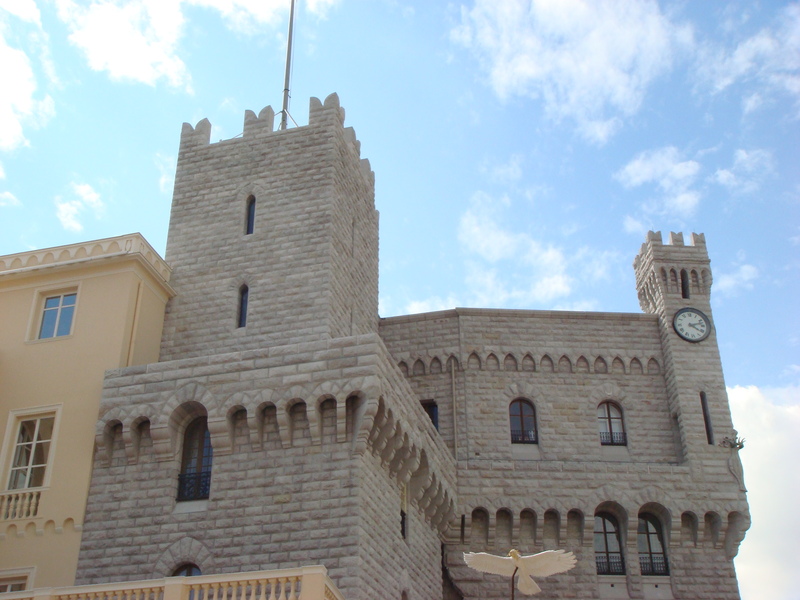 When the Genoese took possession of the Rocher of Monaco (Rock of Monaco) they built the “Old Castle”. Today you can visit the addition that was built by the Grimaldi Dynasty. 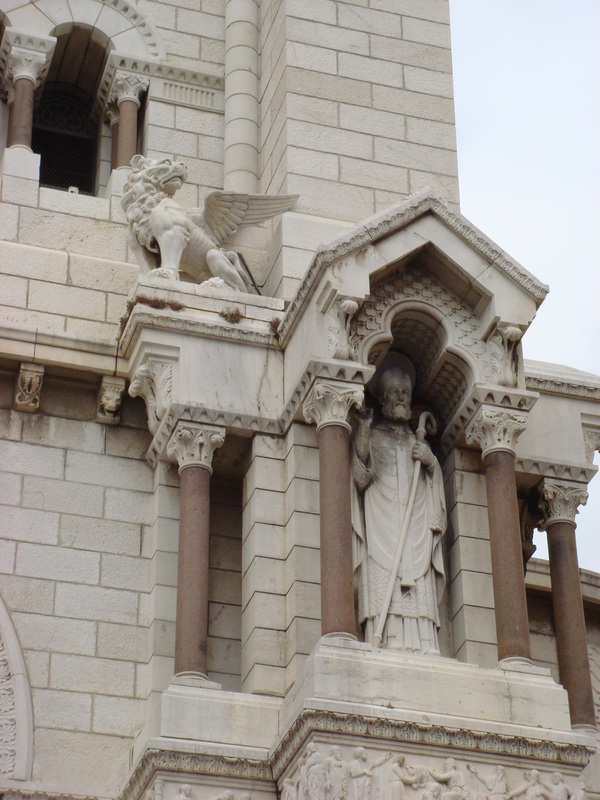 In December of 1247, Pope Innocent IV authorized the Genoese to build a chapel in Monaco. 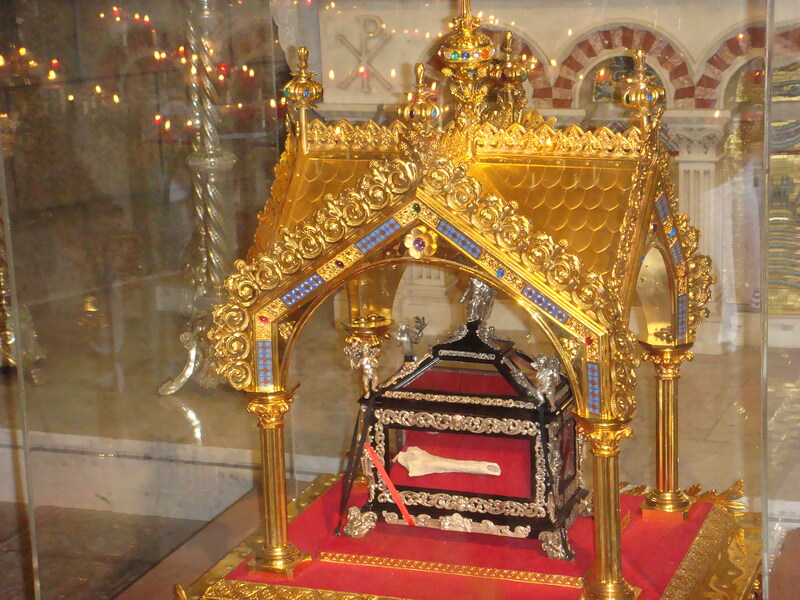 It was placed under the patronage of Saint Nicholas of Myra in 1322. Saint Nicholas had a reputation for secret gift-giving, such as putting coins in shoes. He became the model for Santa Claus. 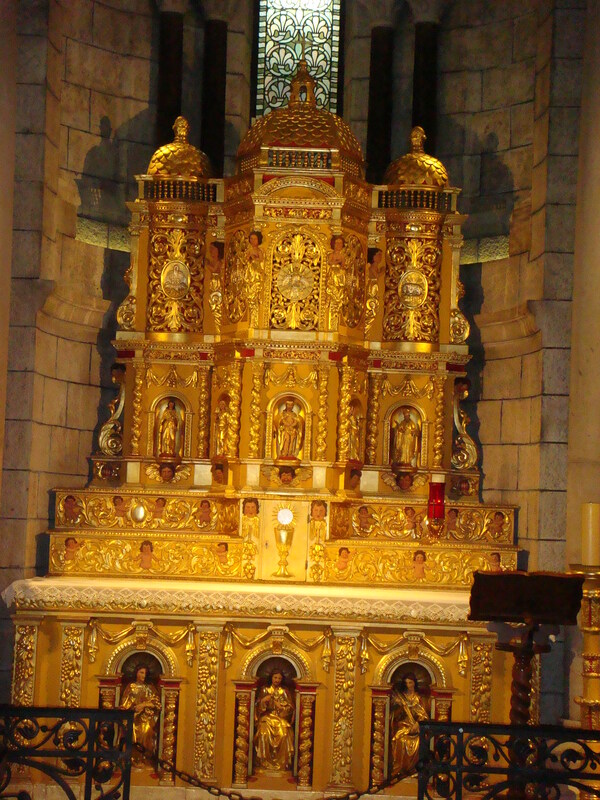 In the vestry of the cathedral, there is a small reliquary in gilded wood with relics of Saint Nicolas, a donation from a Monegasque woman in 1777. On December 6th, a special mass is devoted to the joyful remembrance of St. Nicholas’ life in the cathedral. Built in 1875, the cathedral stands on the site of a 13th century church dedicated to St Nicholas. The Byzantine-style building is made from local limestone quarried at La Turbie, not far from Monaco. 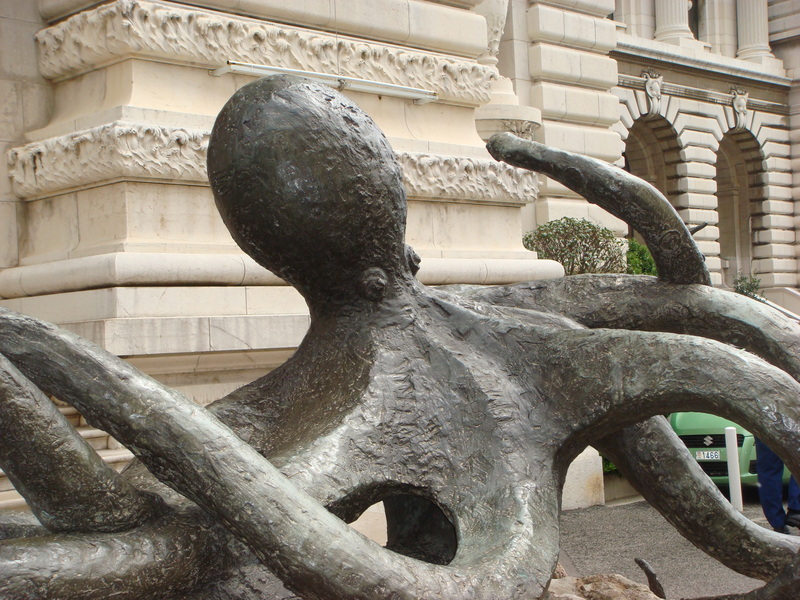 The Oceanographic Museum of Monaco is also constructed of this limestone that maintains a pearlescent sheen and tends to get brighter when it rains. 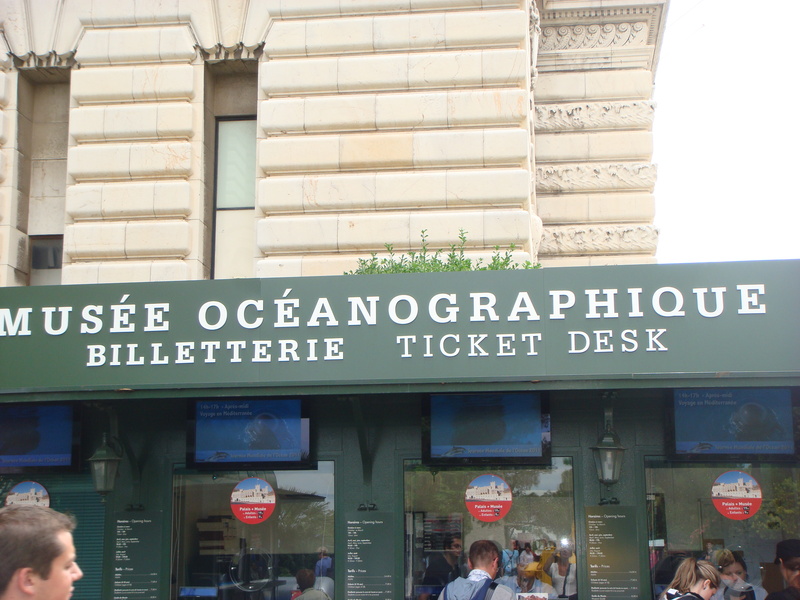 The Oceanography Museum and aquarium has long been associated with Jacques Cousteau. Captain Cousteau fascinated generations with his amazing undersea adventures. 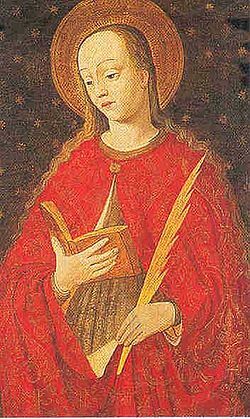 Pontifical services take place on the major religious festivals such as the Feast of Sainte Dévote on January 27th and the National holiday on November 19th. 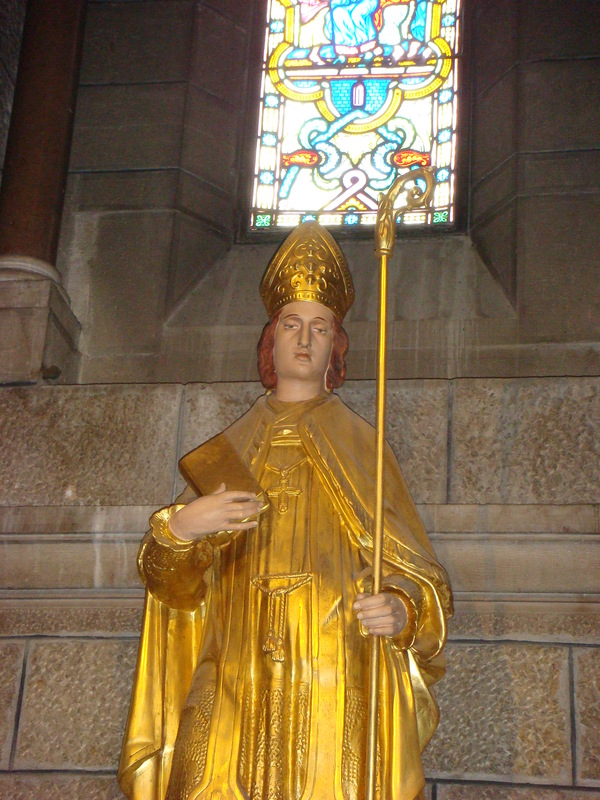 Saint Devote is very important to Monaco and to the Grimaldi Dynasty. 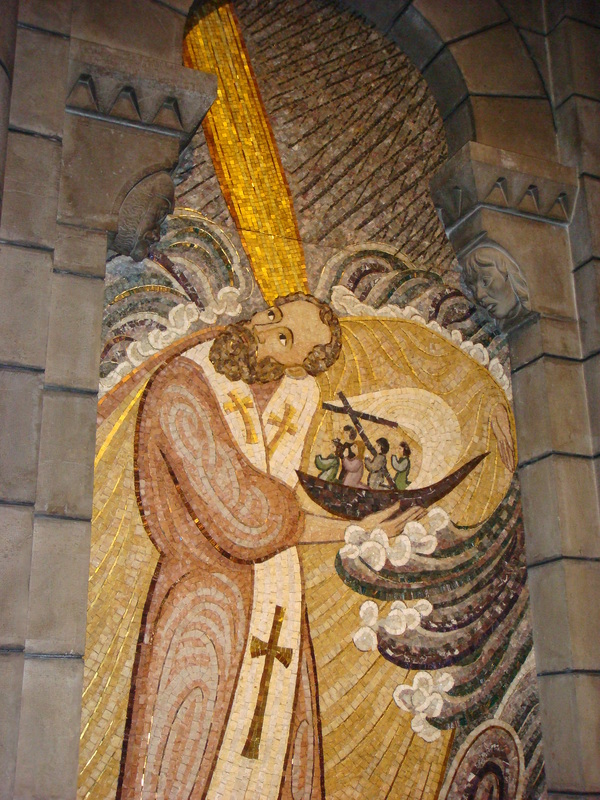 In 1924, Louis II, Prince of Monaco introduced the custom of setting fire to a fishing boat on the evening of January 26 in Monaco, in memory Saint Devote. A white dove symbolizing her spirit is also released. On January 27, there is a special religious service at the Saint Nicholas Cathedral, with the Grimaldis and other important figures. After the mass, there is a procession of the relics, accompanied by a blessing of the Palace, the town and the sea. Fireworks and receptions in the Monte Carlo Opera House ensue. 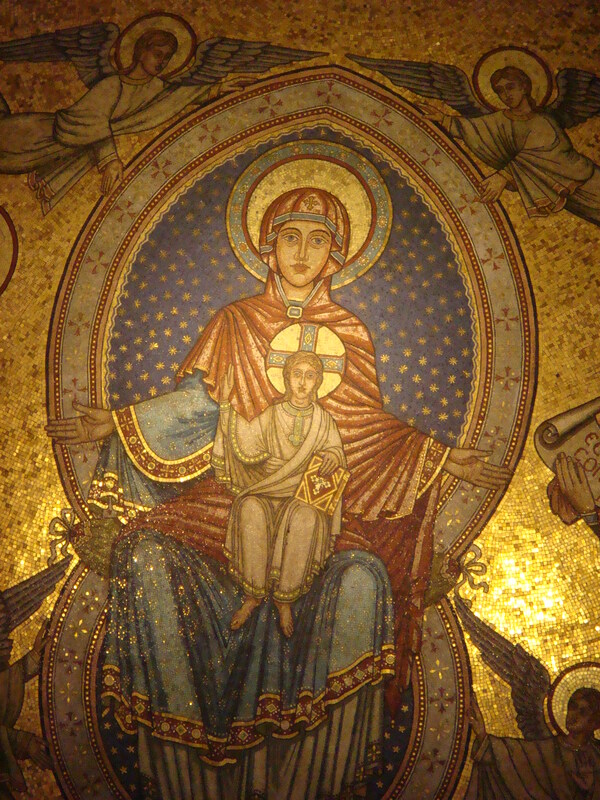 .The cathedral is filled with magnificent sacred art and notable artifacts. There is a beautiful altar and an ornate Bishop’s throne in white Carrara marble. There are beautiful panels created in the 17th century by Hippolyte Trivulce, wife of Prince Honoré II. 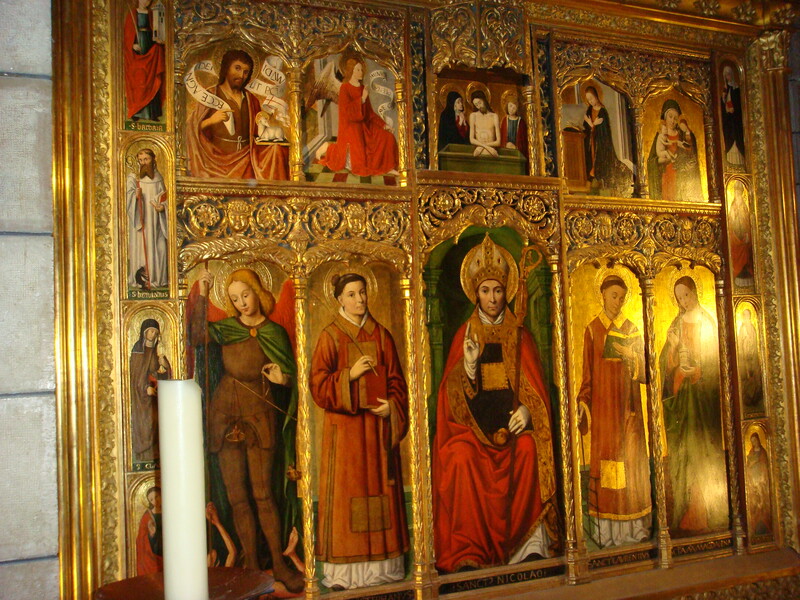 These panels are believed to be from the Genoese School. 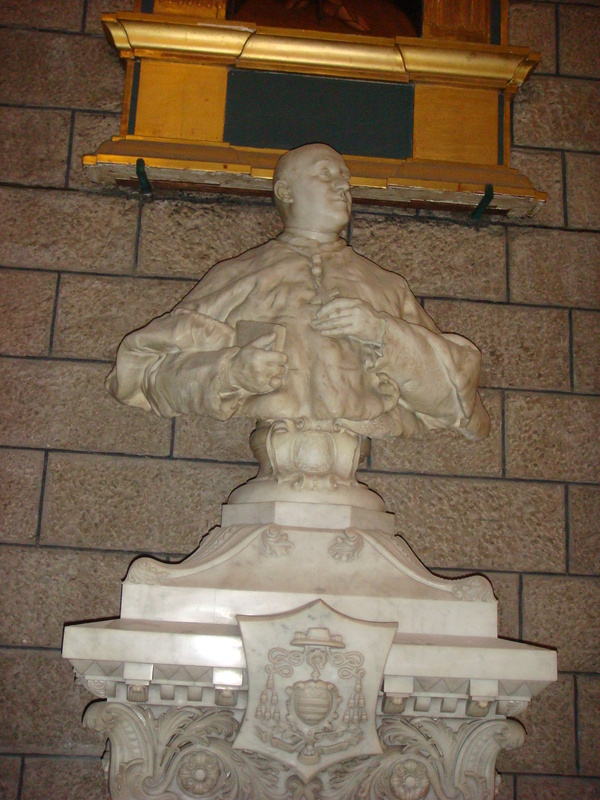 There are also some interesting white marble busts: Bishop Louis Lazare Perruchot (1852-1930) founder of the Cathedral’s Choir School by Louis Maubert (Paris 1875-Nice 1949), painter, sculptor and coin maker; and a bust of Bishop Clement (1865-1939) who was the Bishop of Monaco from 1924 to 1934. 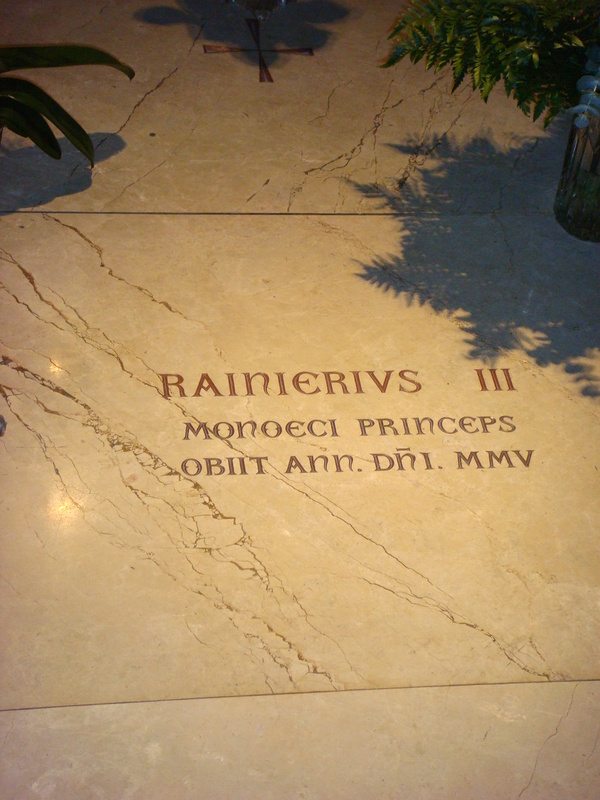 The north aisle has the graves of Prince Rainier III and Princess Grace. 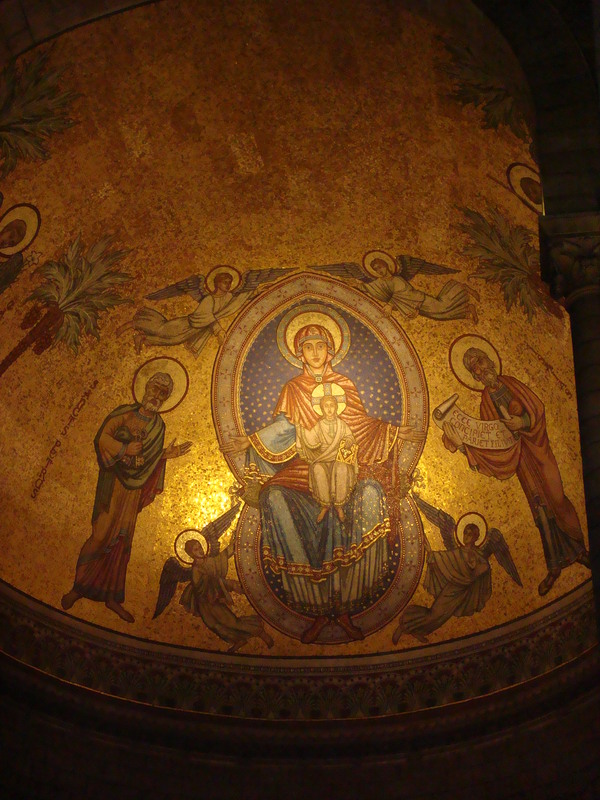 Take time to admire the incredible apse mosaic. The cathedral has 183 stained glass windows, including 64 depicting characters from the Old and New Testament. One of the sets of windows recounts the Passion of Saint Devote, while another illustrates the miracle of Saint Nicolas. The windows were restored by Fassi of Nice between 1943 and 1948. There is a magnificent altar made of gilded walnut from 1667. The lower vault is adorned with three statues: a statue of Sacre-Coeur (Sacred Heart) and statues of a male figure holding vine shoots (left) and a woman holding a sheaf of wheat (right) symbolizing the two elements of the Eucharist. The statues are not from the same period as the original altar and were probably added during the restoration in 1884. This chapel is also the burial chapel for the bishops of Monaco (a list of past bishops buried in the crypt is on the wall on the right). There are many interesting depictions of the “‘Pieta” (the grief of Mary over the dead Christ) in this cathedral. 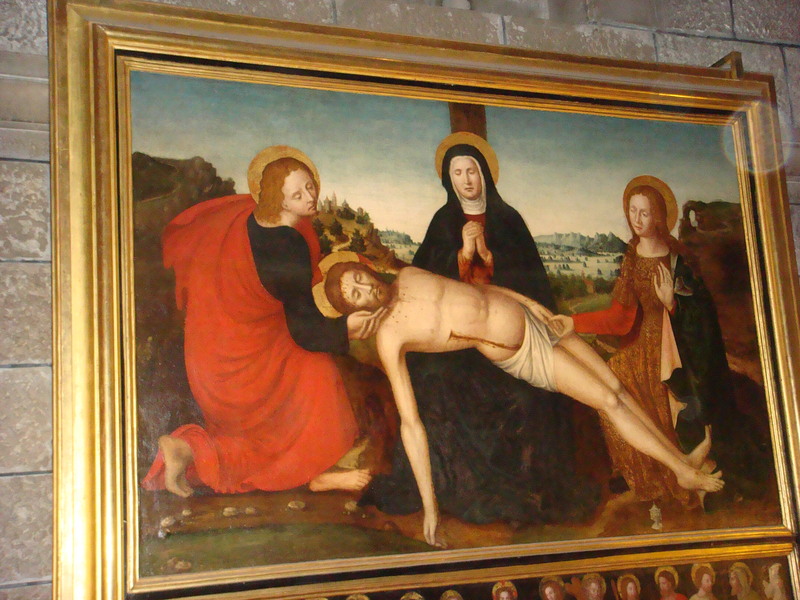 There is a “Pieta” altarpiece from the atelier of Francois Brea (1495-1562); nephew and colleague of Louis Bréa, the work dates from around 1500-1505. I love the 16th century altarpiece by Louis Brea of Nice. 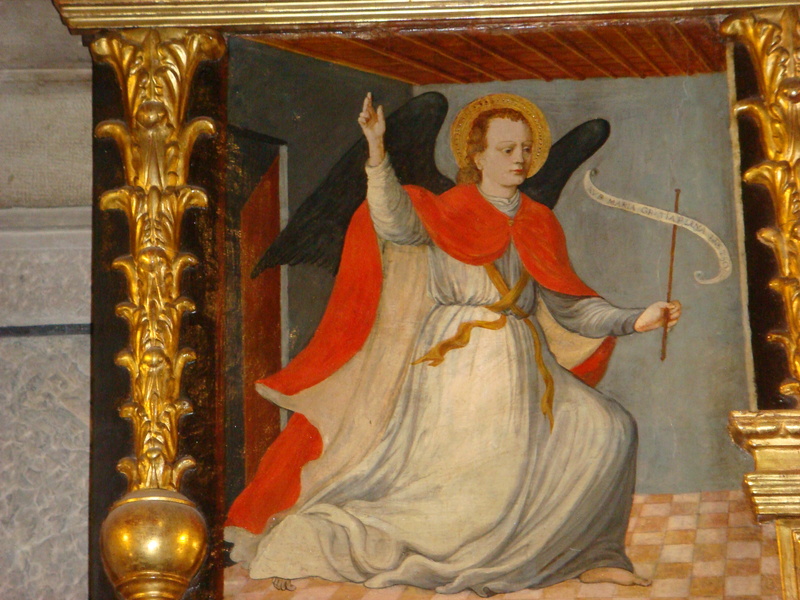 This retable (circa 1500) is located to the right of the transept. 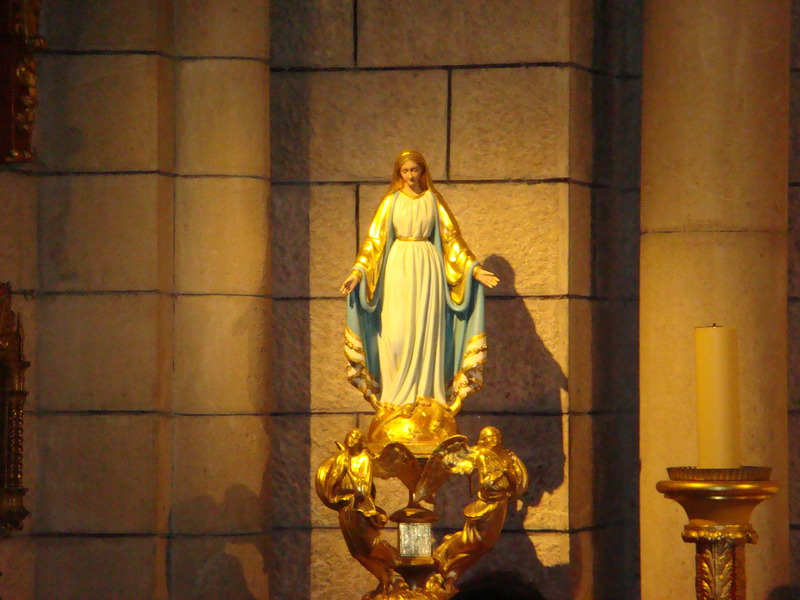 In the centre, at the feet of the Cross, the Virgin Mary holds the Saviour on her knee. 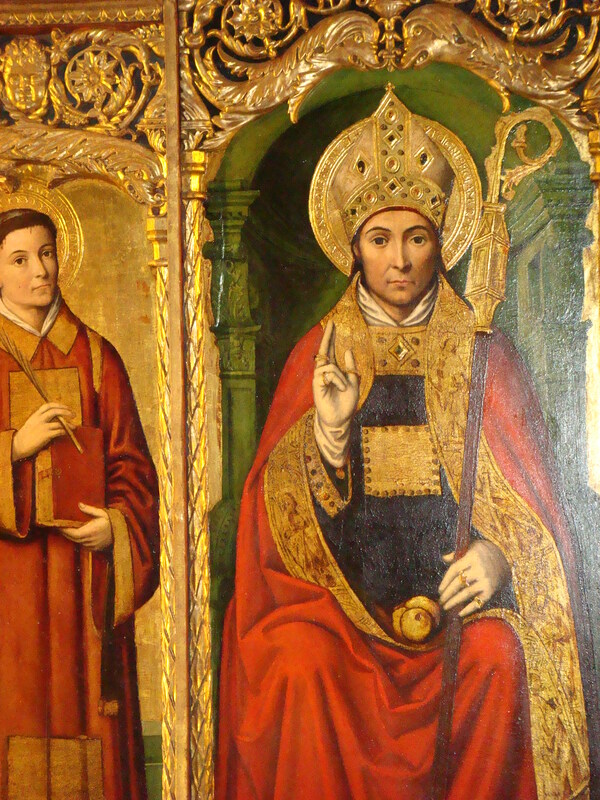 On the right, Mary-Madeleine kneels, on the left, Saint John. 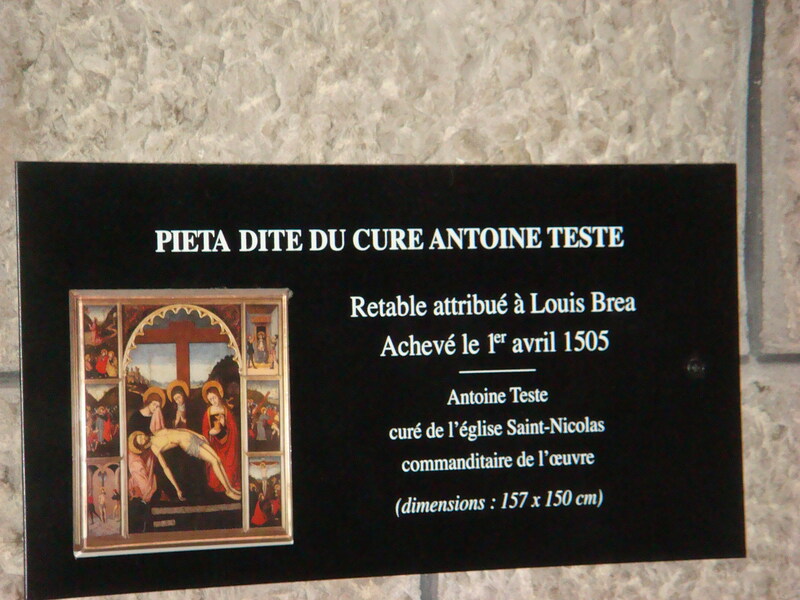 The donator, Antoine Teste, is represented kneeling at the feet of Saint John. 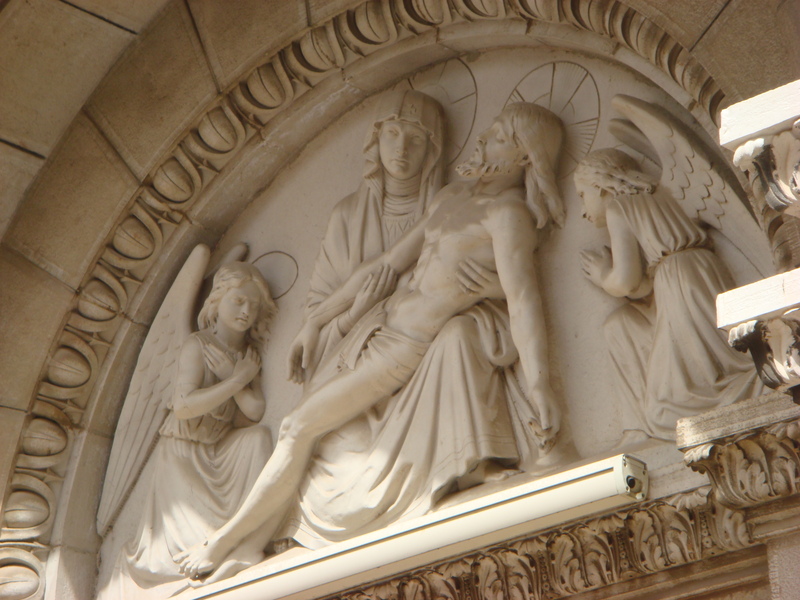 The Passion of Christ is depicted on the six lateral panels. 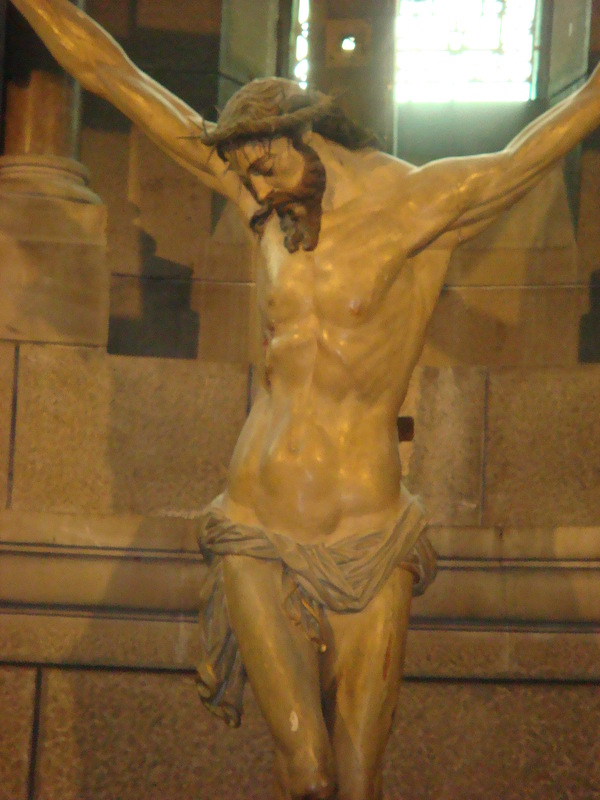 Pieta in Cathedral of Monaco. Painted by François Bréa (1495-1562), nephew and colleague of Louis Bréa, the work dates from around 1500-1505. 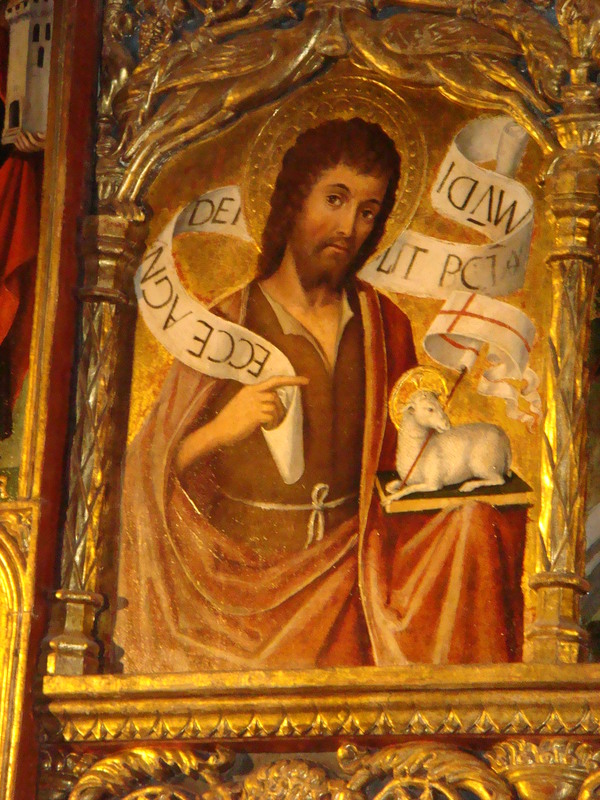 The cathedral also houses many additional beautiful altarpieces. The Saint Nicholas altarpiece is one of my personal favorites. 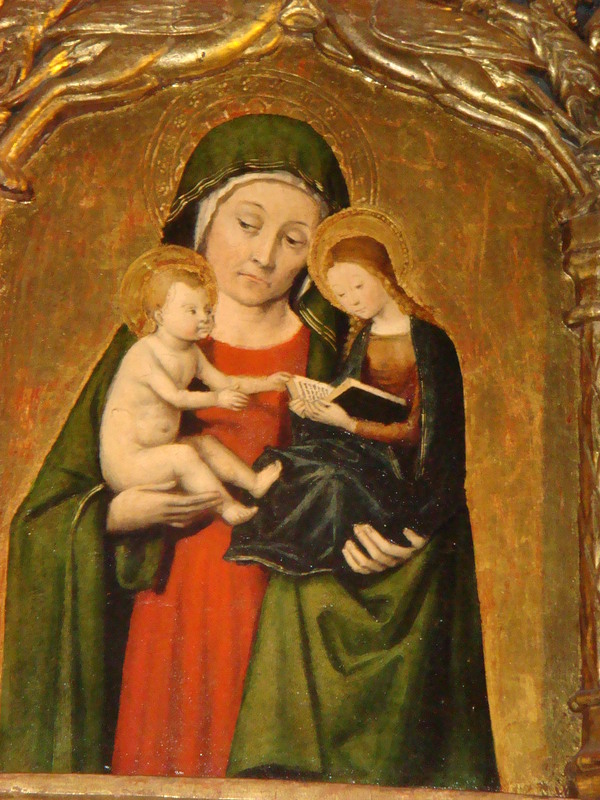 The altarpiece is by Nice painter Louis Bréa(c. 1450 – c. 1523). 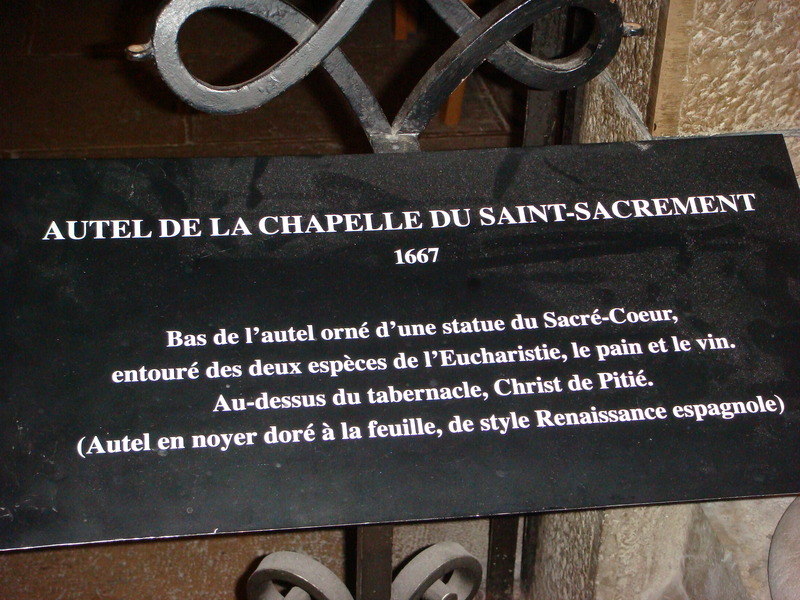 It was made for the church of Saint Nicolas, during Reverend Antoine Testa’s parsonage. 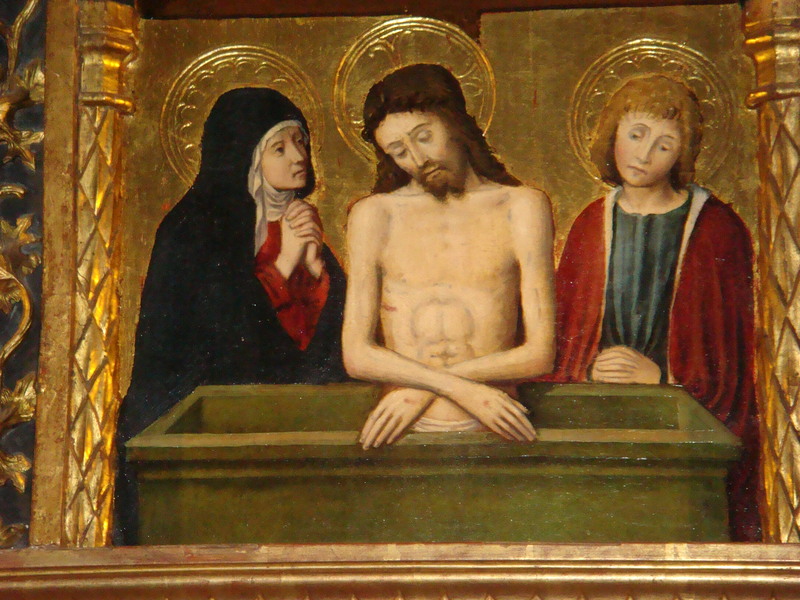 The altarpiece is incomplete: four panels have disappeared with only eighteen pieces remaining. Amongst the saints depicted around Saint Nicolas, seated on an Episcopal throne, are Saint Laurent, Saint Devote, the martyr’s palm in hand, Saint Barbe and Saint John the Baptist. 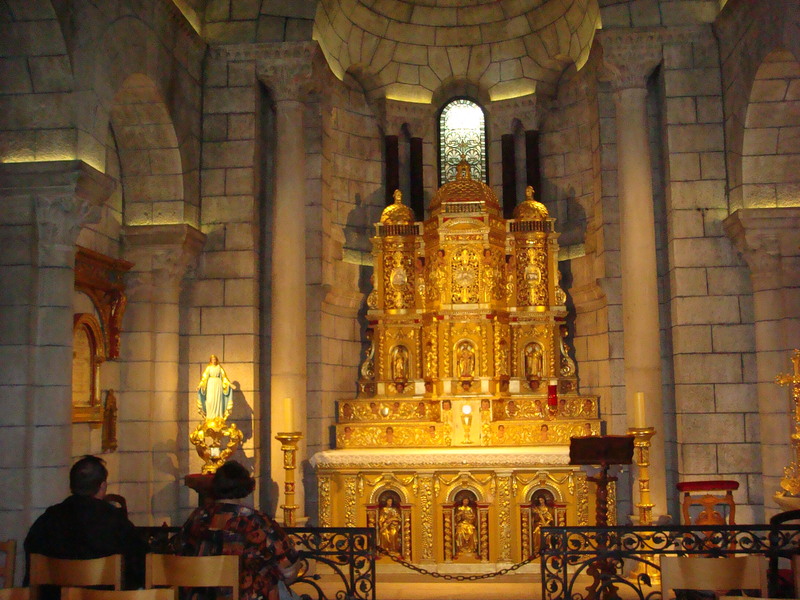 The altarpiece was funded by Monegasque benefactors. 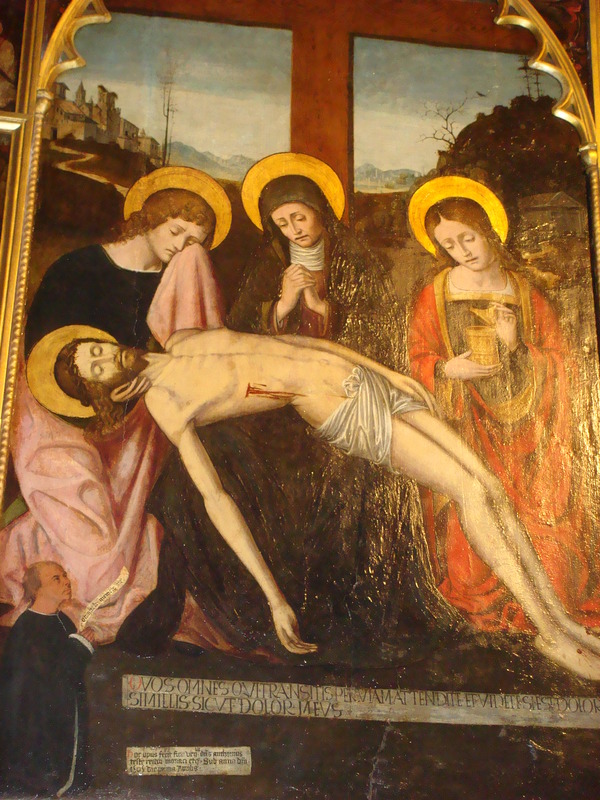 The name of one of them has been recorded, Charlot Beconi, who donated one florin on 4th September 1497 for this altarpiece. 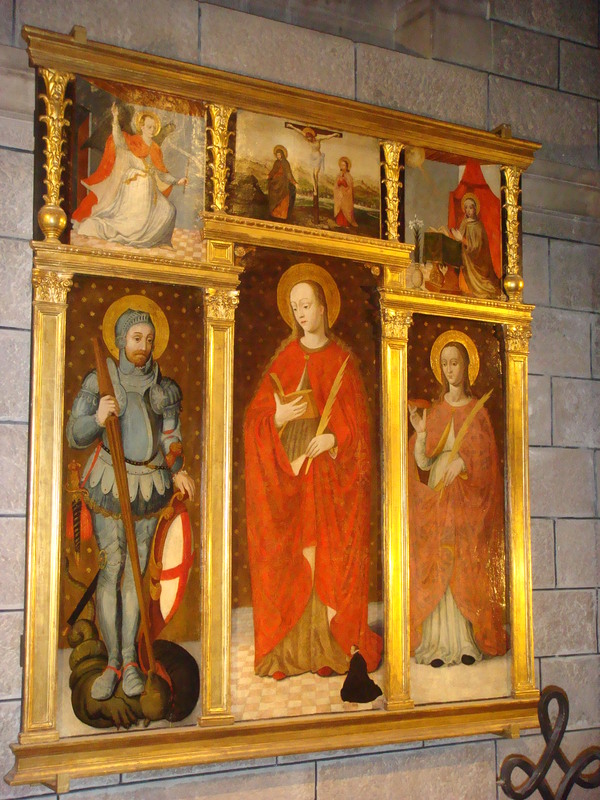 The third notable altarpiece of Saint Devote, Saint George and Saint Lucie was a gift from Isabelle Grimaldi wife of Honoré I. Saint Devote is in the center with the red robe holding her martyr’s palm. Prince Honore is represented in miniature, kneeling at the foot of Saint Devote (estimated date: 1560-1570). The painting has many re-painted sections. 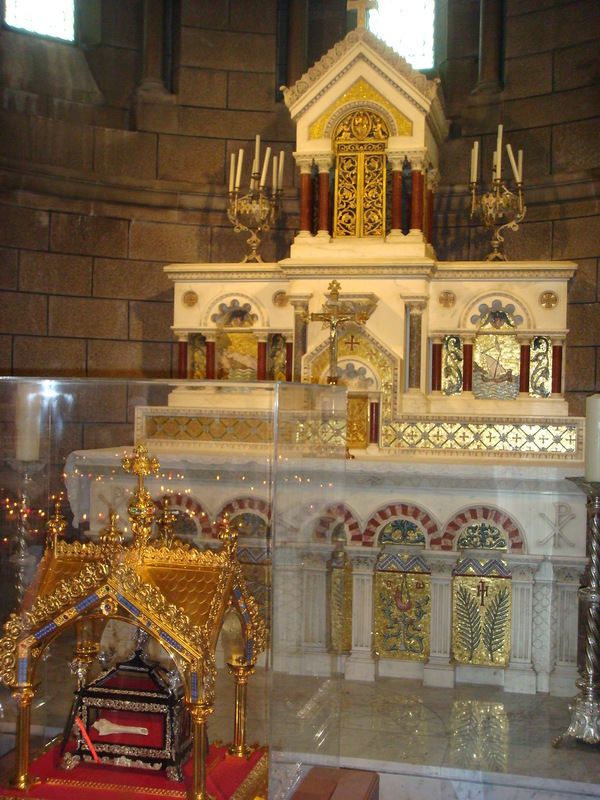 Beneath the marble canopy above the altar, there is a reliquary containing relics of Saint Devote in a glazed sarcophagus with black lacquered wood posts lined with repoussé silver leaf with silver feet. At the top, a small reliquary statue of Saint Jerome was dug up in 1814 with the remains of a larger reliquary that contained relics of Saint Jerome. 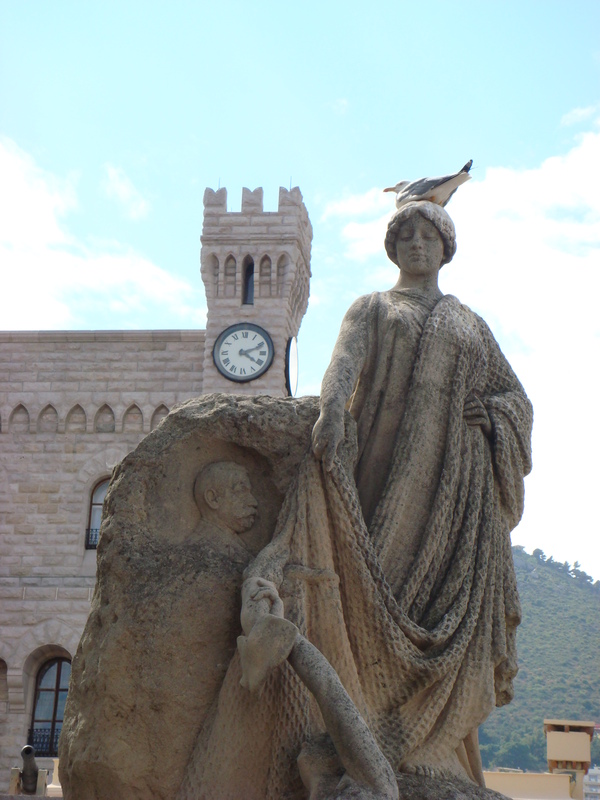 Visit the Lapidary Museum located outside the Cathedral on the little square named Don Pacchiero. The architectural remains of the old Church of Saint Nicolas (destroyed in 1874) have been gathered together including: pedestals, entablatures, columns, chapiters, the coat of arms of the Grimaldis recalling a stage in the construction of Saint Nicolas by Etienne Grimaldi and Honoré Grimaldi. There are also relics from the chapels of the Ange Gardien (Guardian Angel) (1658) and Saint Anthony of Padua (1654). Fixed on the outer wall of the chevet is the old church bell from Saint Nicolas’ from 1484. It was remade and resmelt under the rule of Prince Charles III, in 1873, by Giacomo Semeria with a Latin inscription. Members of the Princely Family of Monaco Unveil a New Statue. Tagged as Charlene Wittstock, Grace Kelly, Grimaldi dynasty, Grimaldi Forum, House of Grimaldi, Jacquesousteau and the Oceanographic Museum of Monaco, La Turbie, Monaco, Monaco Cathedral, Oceanographic Museum, Prince Albert II of Monaco, Prince Rainier, Prince Rainier III marries Grace Kelly in 1956, Rainier III Prince of Monaco, Rock of Monaco, Roman Catholic Archdiocese of Monaco, Royal Wedding in Monaco of Prince Albert II and Princess Charlene, Saint Nicholas, Saint Nicholas Cathedral Monaco, Santa Claus, South Africa, The House of Grimaldi in Monaco on the French Riviera, Wedding of Grace Kelly and Prince Ranier III in 1956, Westminster Abbey, Who is the new princess of Monaco?